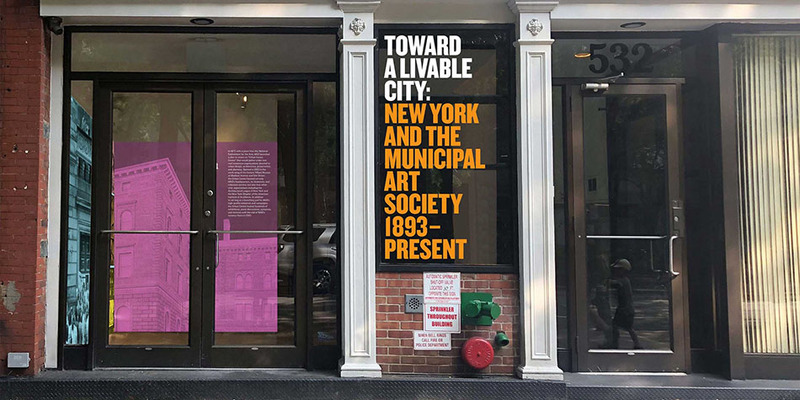 Toward a Livable City is presented on the occasion of the 125th anniversary of the Municipal Art Society (MAS), exploring the organization’s profound impact on the metropolis we live in today. Presented in partnership with the Museum of the City of New York, and with the generous support of the Doris C. Freedman Fund and the J&AR Foundation, this exhibition has been organized by the current staff and board of MAS as a tribute to all the formidable leaders who have come before them, and to the city they love. The Livable Neighborhoods Program, which began in 2007, was created on the principle that community involvement is essential to successful city planning, and giving assistance to local leaders in under-resourced communities is a way to better prepare participants to work with developers, elected and appointed officials ~ giving them the tools to work more effectively with New York City agencies to advocate for their own communities. The first Livable Neighborhoods Program Workshop took place in June, 2018, in partnership with Ascendant Neighborhood Development Corporation and Landmarks East Harlem. Its focus was to educate local residents about historic preservation and a proposed historic district in East Harlem. 2018 Livable Neighborhoods Program Workshops continue. Toward a Livable City, the MAS 125th Anniversary Exhibit, will be on view from October 1 to December 31, 2018 at the Center for Architecture, 532 LaGuardia Place, NYC. This exhibition is part of Archtober. This is a Free Event, open to the public. Opening Reception will be held on October 4th from 6-8pm. Are you an MAS Member? Learn more about Membership Here.